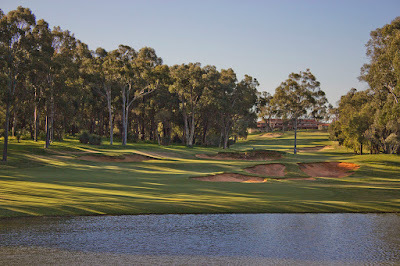 The 2019 World Super 6 Perth golf tournament on the European Tour is taking place this week from February 14-17, 2019, at the Lake Karrinyup Country Club located just north of Perth in Western Australia. Here is a list of the prize money up for grabs for the European Tour players at the 2019 World Super 6 Perth. Starting in 2017, the World Super 6 Perth (formerly the Perth International) switched to a pretty weird format. The playing field of 156 players will be cut to 65 players plus ties after 36 holes of stroke play followed by a second hard-cut to 24 players after 54 holes. Then match-play begins. Total prize money up for grabs at the 2019 World Super 6 Perth is $1.13 million. The same amount of prize money as last year. The prize money below has been converted from Euros to American dollars at the current exchange rate. The winner of the 2019 World Super 6 Perth will earn $188,371. The winner of this tournament last year was Kiradech Aphibarnrat from Thailand.